"In business what is dangerous is not to evolve"
Join us at the first AWS Transformation Day Auckland, New Zealand to learn how cloud technology can help your business retire technical debt and enable innovation. This free one day event will share the very latest in cloud vision in a plenary keynote, and dive deep with 15+ educational sessions which will explore how your business can lower costs, improve efficiency, and innovate at scale. Visit the expo floor where leading technologies such as AI, Machine Learning, IoT, Serverless and Big Data are showcased with AWS products and our partners’ solutions. Attend breakout sessions for educational and inspirational content that you can take back to your business. Whether you are an experienced AWS user, a startup founder, an enterprise professional, or just starting your cloud journey, you can learn something new at AWS Transformation Day Auckland. Hear thought-provoking keynotes delivered by AWS experts and customers and choose from 15 sessions covering a broad range of topics and technical depth. A high-energy expo where you can connect with experts from AWS as well as Partners from the wider AWS partner network. Choose from over 15 breakout sessions across two core themes: Retire Technical Debt and Enable Innovation. AWS subject matter experts, partners, and customers deliver sessions covering a broad range of topics and technical depth. Attend introductory sessions on new and existing AWS services or participate in sessions that go deep into architecture. The Xero evolution of DevOps and insights from the research behind it. How can your organisation accelerate its cloud adoption, devops initiatives, and digital customer experience while minimising the risks? Join New Relic’s Technical Director, Jill Macmurchy and NZME’s General Manager of Digital Development, Andrew Nimick, and learn how instrumentation, intelligence, interconnectivity, and insight from New Relic can help you move faster with confidence. Learn how to achieve the benefits of moving applications to the AWS platform, by designing a cloud migration model that retires tech debt and sets the platform for innovation. This includes establishing a compelling business case, acquiring new skills, implementing new business processes, and defining the application migration methodology to transform your business model from on-premise to a cloud infrastructure. Voice experiences have transformed the way that customers interact with the world around them. Alexa is Amazon’s voice service and the brain behind millions of devices including Amazon Echo. Alexa provides capabilities, or skills, that enable customers to create a more personalised experience and makes it possible for businesses to create Alexa Skills to engage with employees or customers through voice. With the Alexa Skills Kit (ASK), designers, developers, and brands can build engaging skills to reach millions of customers. In this session, we’ll provide an overview of Amazon Alexa and Alexa Skills to show you how to create business value and reach more customers. The global reach of AWS provides a simple path for NZ companies to reach overseas markets with efficiency and scale. Learn how PartsTrader partnered with AWS, Bulletproof to get the right balance of speed, risk mitigation and successfully transition to the cloud. AWS compute and infrastructure are continuing to innovate at a rapid pace and in many unexpected ways. In this session we will introduce new areas of compute and new innovations to our infrastructure, such as the Nitro system which reimagines how we engineer our underlying infrastructure, unlocking greater performance, reliability and security for new instances built on Nitro. In this session discover how AWS and APN Partner tools can help simplify your migration readiness and planning. Hear how customers have leveraged the AWS discovery and migration services to rapidly move workloads to improve resilience, reduce risk and accelerate their global footprint, and how these tools can be used for quick, effective decision making and planning in critical situations. In this session we will explore how AWS cloud services can be combined with process and culture changes to enable advances in innovation thinking. We'll look at how Amazon uses AWS to unlock the potential in their teams and some of the tips, tricks and techniques that help leverage cloud technology to its maximum advantage. Automation can change the way you build and manage your SAP systems on the AWS cloud, forever. Bringing together the best automation tools in the industry, we’ll explain how to reap benefits like rapid deployment and lower TCO with GearShift. We are all drowning in data. Most of us struggle to know where to find the useful data that our organisation produces. Too few of us turn that data into information, insights, and then action. In this short, sharp interactive session, facilitator Devin Deen will demystify the role of data in the age of innovation and transformation. When migrating lots of applications to the cloud, it's important to architect cloud environments that are efficient, secure and compliant. AWS Landing Zones are a prescriptive set of instructions for deploying an AWS-recommended foundation of interrelated AWS accounts, networks, and core services for your initial AWS application environments. This session will review the benefits and best practices. In this session you will learn how to use Amazon SageMaker to build, train, test, and deploy a machine learning model. We will use a real life use case to share the simplicity of building and deploying ML models on Amazon SageMaker. This session provides a framework to evaluate the most commonly used migration approaches and helps your organisation choose the right path for each application. Explore the 6 Rs of application migration before diving into the benefits of re-architecting including: faster time to market, more resilient architecture, developing a flexible platform for future development, and innovation. The best server is no server. Serverless technologies enables you to build and run applications and services without having to manage infrastructure – allowing you to innovate faster, accelerate your time to market, and lower costs. During this session, learn how our customers use AWS serverless technologies to build a wide-range of web, mobile and voice-enabled apps, data-intensive analytics engines, chatbots and backend systems. With Microsoft applications making up 60% of most enterprises, this session will illustrate mechanisms to migrate to AWS ensuring your migration strategy encompasses a strong, security focused foundation with a focus on removing undifferentiated heavy lifting. Join us on a journey of migrating the Unicornshop.lol core infrastructure to AWS. This includes business productivity systems, Microsoft SQL server, and a number of .NET applications that require seamless migration with minimal downtime. We will walk through the journey of creating our landing zone and fully automated compliance controls before embarking on our migration journey together! With IoT, machine learning is going everywhere. Using Amazon SageMaker it's never been easier to build Intelligent Things. In this session we look at how we can push intelligence from cloud-trained models to the edge using AWS Greengrass and explore how devices such as AWS DeepLens make it easy to bring intelligence to your things. Sessions will cover an overview of services, features and benefits with no prerequisites presumed. Sessions will focus on best practices, details of service features and demos or code samples. Assumes introductory knowledge of topic. Sessions will dive deeper into service features, lessons learned, deployment and architecture examples. Assumes in-depth understanding of service use cases and AWS platform. Sessions will focus on more complex topics such as advanced coding, architecture, infrastructure design and solutions. Deep understanding of subject matter is presumed. Tim Dacombe-Bird is a veteran of over 30 years in the New Zealand IT Industry having held senior roles with Compaq Computer, VMware and AWS. Tim was the first AWS employee based in New Zealand joining in 2013 and has grown the business in both customer numbers and staff in keeping with AWS’s global growth rates. A proud Wellingtonian, Tim is passionate about the success of the NZ Tech Community and building this success into tangible benefits for New Zealand’s future. Ed Lenta is a six-year veteran of Amazon Web Services, where he has held senior regional and global roles. From 2010, he managed business operations in Australia and New Zealand, overseeing significant growth across all customer segments as demand for cloud increased. 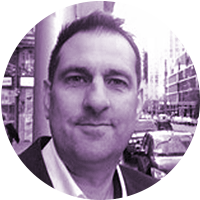 In 2013, Ed moved to Seattle to build a new global function, as Head of Global Accounts, AWS. Working with some of the world’s largest multinationals, Ed oversaw all aspects of their partnerships, including business strategy, digital transformation projects, and global execution. In his current capacity as Managing Director of Asia Pacific, Ed manages AWS operations across more than twenty countries, supporting businesses of all sizes ranging from start-ups, to enterprise. His management responsibilities include building and leading customer-facing teams to help organizations leverage the power of AWS Cloud, growing the AWS customer base, and developing channels and alliances. Jon leads the Business Development function for Amazon Web Services (AWS) in Australia & New Zealand where he helps Amazon customers understand the value of cloud technology from both an economic and strategic transformation perspective, and is passionate about unlocking enterprise value through business and technology innovation. 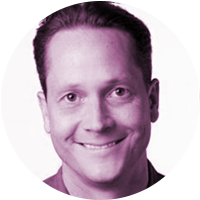 Prior to joining AWS two years ago, Jon was a Managing Director at Accenture, a global management and technology company. 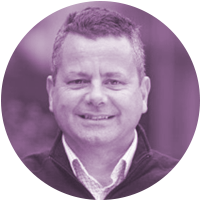 During his time with Accenture, Jon worked with customers across a range of industries on large scale business and information technology transformation and held a variety of senior leadership positions. 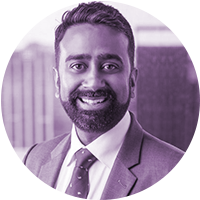 Jon lives in Melbourne and holds a Bachelor of Science (Physics) from Monash University, and an Executive MBA from Kellogg Graduate School of Management, Northwestern University. Angie is a technology entrepreneur bringing artificial intelligence into the world’s cultural institutions. Angie founded award winning company Dexibit, serves on the Board of the American Alliance of Museums’ media and technology network and co-Chairs the Museum Computer Network’s Data & Insights Group; recognized as a thought leader in data science for attractions. 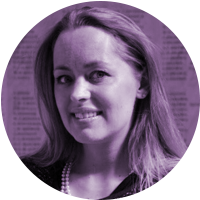 Inspired by a passion for history, art and science and with 15 years of experience in software and analytics, Angie has driven an industry movement into ‘musedata’ and believes artificial intelligence is crucial to the democratisation of museums. She writes on cultural commercialisation, lectures in industry applications for machine learning and is a proud supporter of getting girls into STEM. Prior to Dexibit, Angie served as Sales Director and Head of Transformation and Innovation for Israeli telco giant Amdocs, Strategy and Transformation Consultant for multinational Hewlett Packard and Marketing Manger for merchant banker FINCO. Nigel Adler is the GM of Global Design at Fonterra based in Auckland. 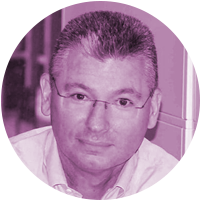 He has over 20 years of experience in the IT industry having held a diverse number of roles from Programme Management through to Network Engineer. Currently he is a member of Fonterra’s IS leadership team, heading up architecture and design for Fonterra. Nigel is the sponsor of the Data Programme which includes Fonterra’s Advanced Analytics Platform, Data Quality Management, Master Data Management and Data Governance. 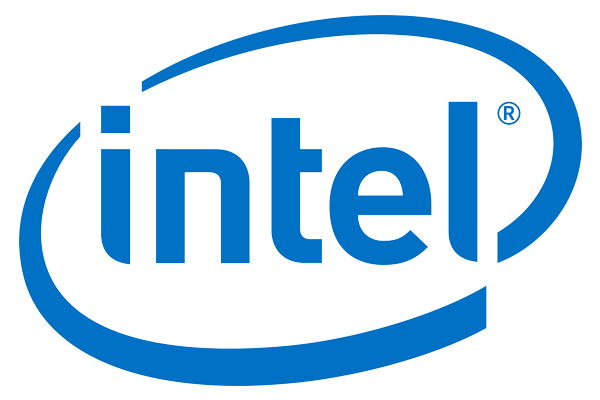 Intel makes possible the most amazing experience of the future. You may know us for our processors. But we do so much more. Intel invents at the boundaries of technology to make amazing experiences possible for business and society, and for every person on Earth. Get the real-time insights that your software-driven business needs to innovate faster. Instrument your entire environment in minutes, get a comprehensive view of your entire stack, and empower your teams by getting them on the same page. DevOps: Unify your development and operations teams so you can deploy more frequently, ensure more stability, and innovate faster. Cloud Adoption: Migrate faster, resolve issues faster, and get maximum value from the cloud. Digital Experience: Gain insights that can help you deliver optimal performance to delight your customers. Sumo Logic’s secure, cloud-native, data analytics platform, turns machine data into real-time continuous intelligence, providing customers with full-stack visibility, analytics and insights to build, run and secure their modern applications and cloud infrastructures. With Sumo Logic, customers leverage a service model advantage to accelerate their shift to continuous innovation, thereby increasing competitive advantage, business value and growth. Founded in 2010, Sumo Logic is a privately held company based in Redwood City, CA and is backed by Accel Partners, DFJ, Greylock Partners, IVP, Sapphire Ventures, Sequoia Capital and Sutter Hill Ventures. Bulletproof is A/NZ’s first AWS Premier Consulting Partner. Our 360-degree approach to cloud solutions simplifies complex technology and enables rapid transformation for businesses of all sizes. enterpriseIT is the employer, partner and supplier of choice for innovative data services, anywhere. As one of only a handful of AWS Advanced Consulting Partners, we are equipped to guide our customers’ AWS cloud journey from initial trial through to light touch Managed Services, enabled through extreme automation. Soltius is an AWS Advanced Tier Partner leading the way for many reputable organisations across Australasia with our world-class team providing AWS and SAP solutions, support and consulting. We are the only AWS Advanced Consulting Partner in New Zealand to have both Managed Services Provider and SAP Competency accreditations. Who should attend AWS Transformation Day Auckland? Can I get a confirmation of my registration? Can I sign up for sessions I want to attend? Q: Who should attend AWS Transformation Day Auckland? AWS Transformation Day Auckland is designed to educate new customers about the AWS platform and offer existing customers content to be more successful with AWS. The two core themes are Retiring Technical Debt and enabling Innovation. The full-day agenda will suit and cater to technical and management-level roles involved in the planning, strategy, delivery and implementation of cloud computing within their organisation. There is no charge to attend AWS Transformation Day Auckland. Access to keynote, breakout sessions, and the expo hall, as well as meals including morning tea, lunch, and afternoon refreshments. Q: Can I get a confirmation of my registration? Upon completing the online registration, you will be emailed a confirmation with details of the conference from Amazon Web Services. Please check your junk mail folder if you do not receive this within 24 hours of registering online. You will be provided a “Know Before You Go” email approx. one day prior to the event with a barcode, which you will be required to present on the day to access your conference name badge. Q: Can I sign up for sessions I want to attend? Session rooms are filled on a first-come first-seated basis. You do not need to register for the sessions you wish to attend. Shed 10 is a multi-purpose event venues located on Queen's Wharf on the Auckland waterfront – click here for directions.